12″LP – 200 copies on Black Vinyl & 100 copies on Milky Clear Vinyl. BLOOD HARVEST RECORDS is proud to present TOTTEN KORPS' second album, Supreme Commanders of Darkness, on vinyl LP format. 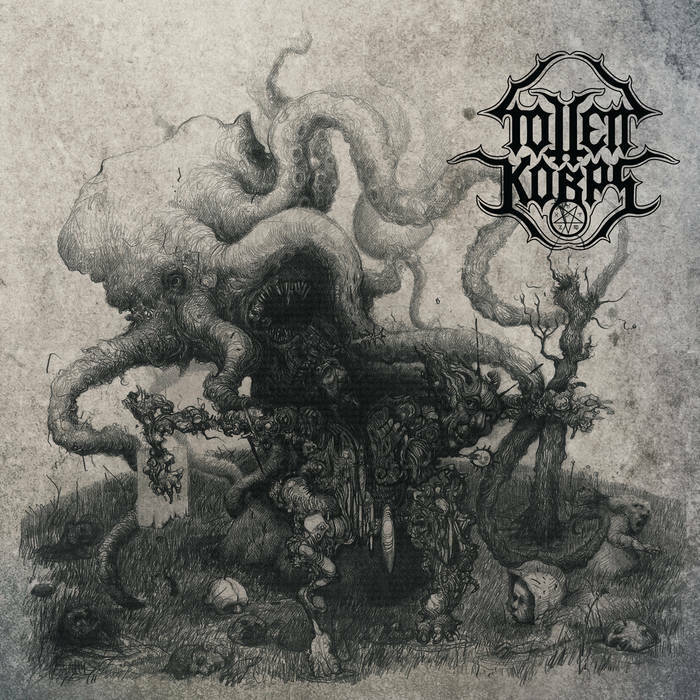 Founded in 1989 in Santiago, Chile, TOTTEN KORPS is one of the extreme metal pioneers of the nation, as well as being an influence to the current generation of Chilean death metal bands. 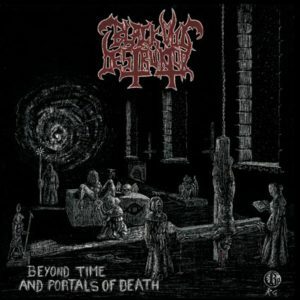 The band was born amidst the chaos arising from the military dictatorship ruling the country at the time – a scenario that fueled the goal of recording their first demo, 1990's The King of Hell Reclaims His Throne, and subsequently their second demo, 1992's From the Infernal Resurrection. In 1993, the band signed their first record deal with Hellion Records from Brazil, thus managing to cross the Chilean borders to disseminate their somber death metal throughout the globe. In 2001, TOTTEN KORPS at last released their debut album, Tharnheim: Athi-Land-Nhi; Ciclopean Crypts of Citadels, on the cult Repulse Records. 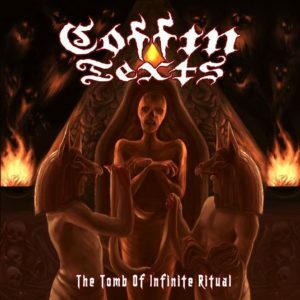 During a dry period for true death metal, this first full-length proved to be a dark gem, and is now held as a mini-classic with many.